Cynthia was born in Ohio and moved to Tennessee in 2006. She received her nursing degree from Northeast State University and continued on with her education to receive her bachelor’s and master’s degrees from King University. 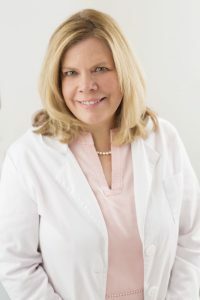 She has an extensive background in cardiovascular nursing at Johnson City Medical Center where she met and worked with the physicians from East Tennessee Medical Associates. Impressed with the quality of care given by the nephrologists at East Tennessee Medical Associates, Cynthia chose to start her career as a nurse practitioner with the practice. As the practice’s first nurse practitioner, Cynthia will be working directly with our dialysis patients to provide one-on-one evaluations during their treatment and to assist with answering questions to improve quality of life. With a nursing background, her focus is on a multi-faceted approach to care in order to provide a platform for improved health.